The Boston Fire Department reports a fire at 9 Perkins Ave. in Hyde Park did an estimated $150,000 in damage this afternoon. Read more. Per Keep Roslindale Quirky, somebody was spotted leaving bread soaked in antifreeze in the area along South Walter Street. Snake's alive: Brookline seeks owner of snake found in playground; anybody check in on Penelope recently? Brookline Police report a snake found at the Lawton Playground near Allston is now in the custody of town animal control, which assumes the serpent is somebody's pet. Sara Noonan reports a client's white Hyundai Santa Fe with Chief the yellow Lab in the back was stolen in Orient Heights this afternoon. Read more. DD808 looked down and spotted tons of pugs in the courtyard of Old City Hall on School Street this afternoon. Boston Police report an officer was forced to shoot a dog that would not stop tearing into a woman this afternoon outside 133 Eustis St. in Roxbury - right next door to where two people were shot last night. Read more. 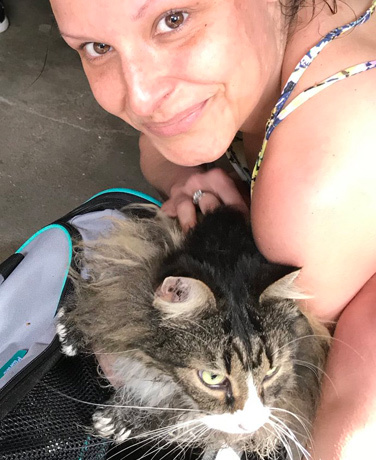 City Councilor Ed Flynn reports a dog was shocked and burned at Castle Island today, an apparent victim of "stray electricity" from a shorted-out or improperly connected electrical cable. Read more. Tillie Jupiter reports this chicken was found in the Bourne section of Jamaica Plain yesterday. 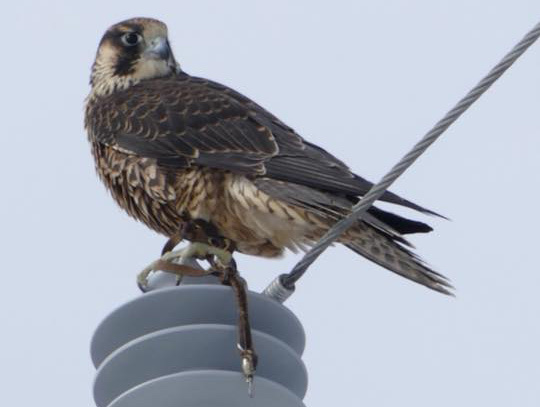 BOLO: Beloved family falcon is missing, last seen Plum Island area. She is very friendly and social and will likely seek out humans by landing on a car or a house, and squawk at them. Still has tether on. 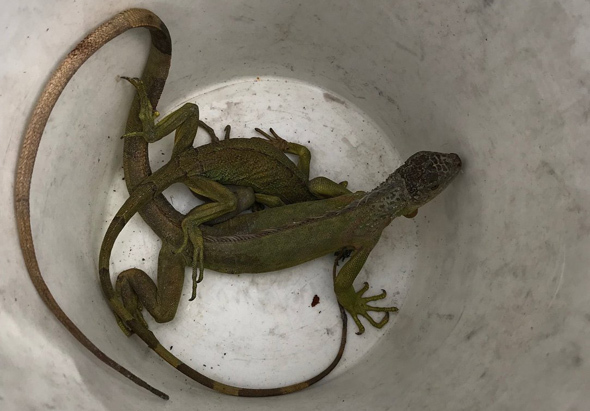 Rescued iguanas in a bucket. Photo by BFD. Boston firefighters called to douse a blaze at 1129 Dorchester Ave. this afternoon made an unusual rescue: Two iguanas. Read more. WHDH examines the issue of stray voltage from corroded wires and connectors near utility boxes, most recently a dog on Southampton Street in the South End.